This decision of the Supreme Court pertains to the appeal of the (then) defendant / patentee against the decision of the FPC in nullity proceedings O2012_030 (decision of 17 September 2013); please see this blog here for a detailed discussion of that underlying decision. In brief, the Swiss part of EP 1 508 436 B1 had been revoked by the FPC. The appellant raised various objections pertaining to substantial procedural violations, based on Art. 55(1) CPC (adversarial system), Art. 150 CPC (subject of evidence), Art. 53 CPC / Art. 29(2) FC (right to be heard), and Art. 154 CPC (ruling on evidence). However, the Supreme Court held that no procedural violation had occured with respect to any of these provisions. Moreover, the appellant objected that the FPC had wrongly construed the subject-matter of the patent-in-suit, in violation of Art. 51 PatA and Art. 69 EPC. The Supreme Court did not agree. In particular, it was emphasized again that the problem-and-solution approach is not a mandatory tool to be used in the assessment of inventive step. What counts is the overall distinction of the claimed invention over the prior art. See also the decision 138 III 111, r. 2.2, of the Supreme Court. For reasons of lack of inventive step of all requests, the Supreme Court could leave the question of admissibility of the limitation undecided. Unfortunately, I admit. In particular in view of the further limitation that the appellant had requested with the EPO and which has been allowed in the meantime. This centrally allowed limitation literally corresponds to AR3 dealt with in proceedings at the FPC; see EP 1 508 436 B3-2. However, it will now remain unclear whether requirements for limitation indeed are more stringent in Switzerland than elsewhere under the EPC. The answer to the last question is in the EPC and seems to be yes (with regard to the EPO). In contrast to oppositions (Art. 100 EPC), the EPO’s competence to examine the validity of the claims of a request for limitation of the patent (Art. 105a EPC) is very limited. Neither novelty (Art. 54 EPC), nor inventive step (Art. 56 EPC), nor industrial applicability (Art. 57 EPC), nor sufficiency (Art. 83 EPC), (nor entitlement (Art. 61 EPC)) are examined in (post-grant) limitation proceedings before the EPO (Art. 105b and R. 95 EPC). Only formal aspects are examined by the EPO in such proceedings (Art. 84 and 123 EPC). 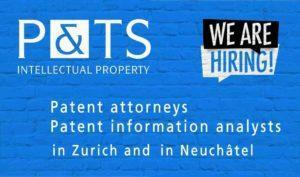 National courts have full competence to examine the validity of a patent (Art. 138 EPC). There is no apparent contradiction between an allowed request for EPC central limitation (complying with Art. 84 and 123 EPC) and a rejected request for limitation before a national court based on the same claims when the reason for rejection lies in a ground not examined by the EPO, e.g. Art. 56 EPC. I agree completely, Anon. But what I was actually thinking of is the following (see earlier post here, #3): Beyond the requirements under the EPC, limitation in Switzerland requires that the limited claim defines an embodiment that is included in the specification of the published patent; see Art. 24(1) lit. c PatA. In particular, the FPC referred to BGE 95 II 364 (r. 4f) in this respect. 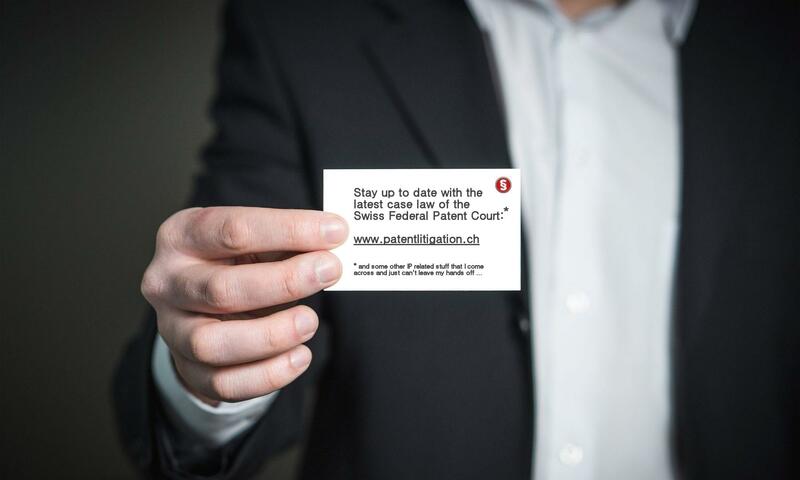 This provision stems from the old times when patent applications in Switzerland were not published at all, but rather only the granted patents. Emphasis in this provision was thus more on “published” rather than on “patent”, in my perception (since the patent was the only publication at that time). It would have been interesting to see how this provision is construed nowadays by the Supreme Court. The revocation of EP patents is governed by Art. 138 and 139 EPC, in particular Art. 138(1) EPC that provides that an EP patent can be revoked “only on the grounds that:… (c)…” and Art. 138 (3) EPC implies that this provision is applicable to national court proceedings. The title of Part VIII of the EPC is also clear: “impact on national law” as well as its chap. 2 (of Part VIII) that includes Art. 138 “revocation and prior rights”. This part seems to be destined to govern national proceedings and substantive revocation grounds examined during such proceedings. There is a derogation to the supremacy of the EPC in relation to the substantive conditions for modifying claims of transformed EP applications where the conditions of the PatA have to be complied with (Art. 109 (2) and 124 (2) PatA). There seems to be no corresponding (specific) derogation in Title V (Art. 109 (2) PatA) for ordinary granted EP patents validated in CH (Art. 109 (3) PatA). However, the FPC seemed to rely on the general wording of Art. 110 PatA to go directly to Art. 24 PatA. “EP patents have the same effect as CH patents”. What does “same effect” mean in Art. 110 PatA? “Effect of the patent” is introduced in Art. 8 to 9a PatA. It relates to the exclusive rights conferred and to the limitation of the rights. Art. 24 PatA is not in the same chapter of the PatA. The Federal Council in its message of 2005 (relating to Art. 110 and 110a PatA) refers explicitly, as a basis for this provision, to Art. 66 EPC which is in Part II Chap. III (Art. 63 to 70) of the EPC “Substantive Patent Law… Effects of the European patent”. In this Chap. we see what was meant in relation with the “effect”: patent term, rights conferred, effect of revocation, extent of protection. The question of grounds of (in)validity (Art. 52 to 57, 61(1)(c), 83, 123 as well as 100 and 138 EPC) does not seem to be an “effect” within the meaning of this provision (Art. 66 EPC). The FC message relating to Art. 110 PatA also refers to Art. 2 (2) EPC which is even clearer: the effect of EP patents is the same as national patents unless the EPC says something else. The EPC says plenty about the grounds of (in)validity in the above mentioned articles; more severe national grounds of invalidity are only admissible within Art. 139 EPC – national prior rights not taken into account under Art. 52 EPC and thus not under Art. 138(1)(a) EPC. Anyway, the question is rather academic for the present case (in view of the lack of inventive step confirmed by the SC). Moreover, I would guess that the configuration of this case is so peculiar that a general answer to this question is not of fundamental importance. Also the SC did not care to spend time on this.